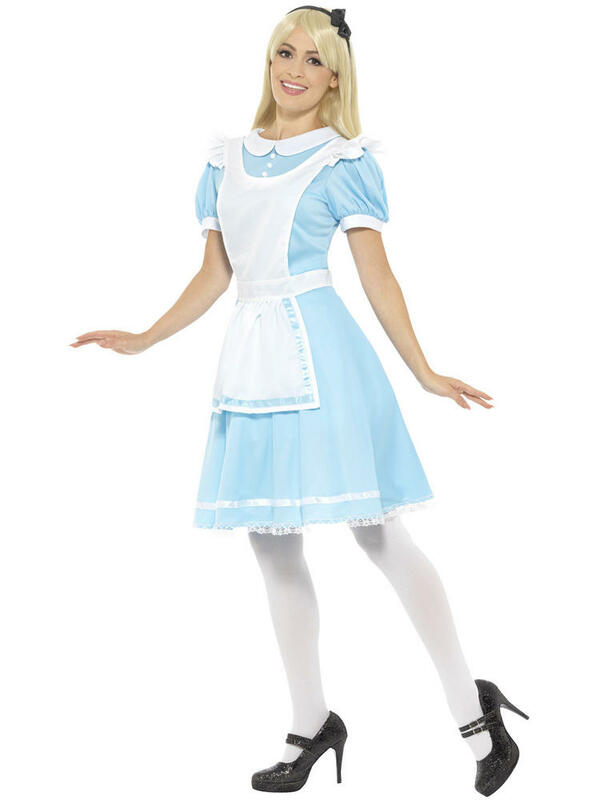 This costume will have you looking like you just stepped out of Wonderland.. Perfect for a themed party or Book Week! 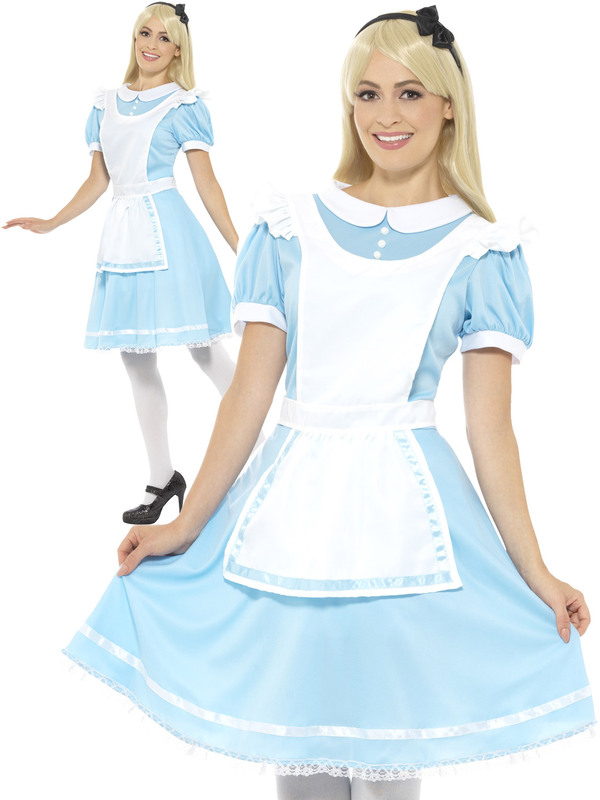 Includes a light blue dress with an attached white apron, white button details and a white collar and sleeve cuffs. Completing the outfit is a black head band with a bow attached to the side.